Welcome to East Rip Charters! We are located in the heart of Cape Cod’s traditional BIG Striper and Bluefish feeding grounds off Chatham, Massachusetts. Whether it’s chasing schools of breaking Stripers and Blues, or battling Bluefin Tuna, let Captain Jeff’s years of commercial fishing expertise guide you to an unforgettable experience on the... show more Welcome to East Rip Charters! We are located in the heart of Cape Cod’s traditional BIG Striper and Bluefish feeding grounds off Chatham, Massachusetts. Whether it’s chasing schools of breaking Stripers and Blues, or battling Bluefin Tuna, let Captain Jeff’s years of commercial fishing expertise guide you to an unforgettable experience on the water. Whatever your level of fishing skill, you will enjoy some of the finest and most scenic fishing in the Northeast. Please take a few minutes to go to our website and learn why East Rip Charters is your best shot at “tight lines” this summer. Join us for some of the best big game action in New England fishing for bluefin tuna east of Chatham, MA. Trips depart from Stage Harbor in Chatham. We also offer full and half day striped bass, bluefish, bonito, or false albacore trips in the rips off Monomoy, Nantucket, or Martha's Vineyard. Arrangements can be made for pick ups on Martha’s... show more Join us for some of the best big game action in New England fishing for bluefin tuna east of Chatham, MA. Trips depart from Stage Harbor in Chatham. We also offer full and half day striped bass, bluefish, bonito, or false albacore trips in the rips off Monomoy, Nantucket, or Martha's Vineyard. 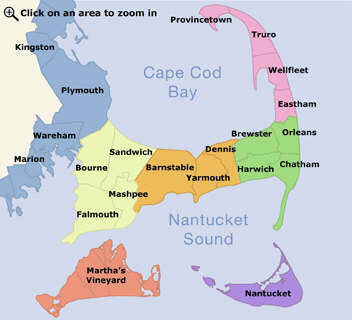 Arrangements can be made for pick ups on Martha’s Vineyard or Nantucket if you are staying on-island. Captain John grew up on Martha’s Vineyard and has been fishing the waters off Cape Cod and the Islands for over 25 years. Book your fishing trip today!